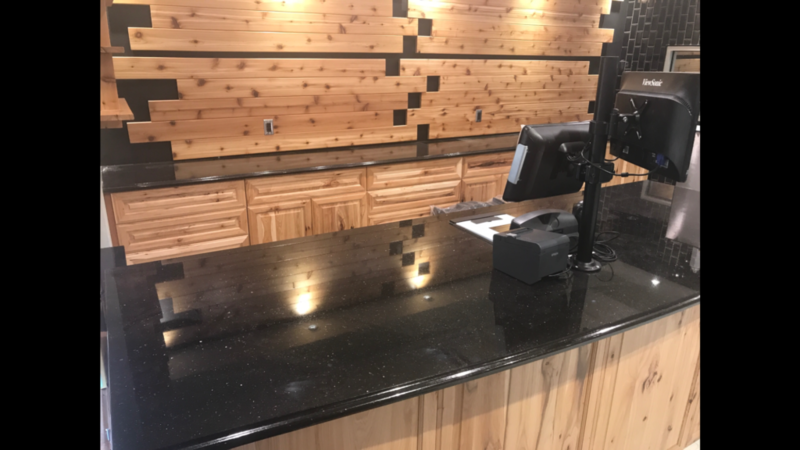 Amazing black galaxy granite counter tops for Ishtar meat market in sterling Heights Michigan. Beautiful color matching, excellent Art work and design, Beyond professional workman ship and quality. Our professional team of experts will always leave professional Touch mark on each project.